A belated happy birthday to Virginia Woolf (born January 25th), a writer whose fiction I idolized when I was around sixteen. I had the firm conviction that her novels To the Lighthouse and Mrs. Dalloway, innovative, modernist, poetic, were about as good as literature got. When I discovered Woolf’s book-length essay A Room of One’s Own, in college, I was thunderstruck. And I’ve never lost that feeling. I re-read Woolf’s arch 1929 critique of a sexist world, a discriminatory educational system, the need to nurture female talent, and I’m still pumping my fist in the air. Adeline Virginia Stephen was born on January 25, 1882, to Julia Stephen, a model for Pre-Raphaelite painters, and Leslie Stephen, a well-known biographer. She had seven siblings and half-siblings, and was brought up in an upper-middle-class Kensington household. That she suffered some sort of mental disorder (she was probably bipolar) was clear from her first breakdown at the time of her mother’s death in 1895. She collapsed again when her father died in 1904. 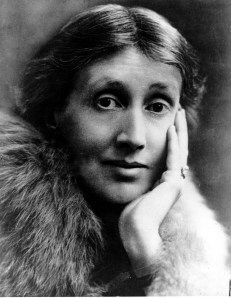 In 1912 she married Leonard Woolf and in 1915 she published her first novel. Despite her recurring “madness,” she was able to publish and run Hogarth Press with Leonard and be active in the Bloomsbury literary group for the rest of her life. 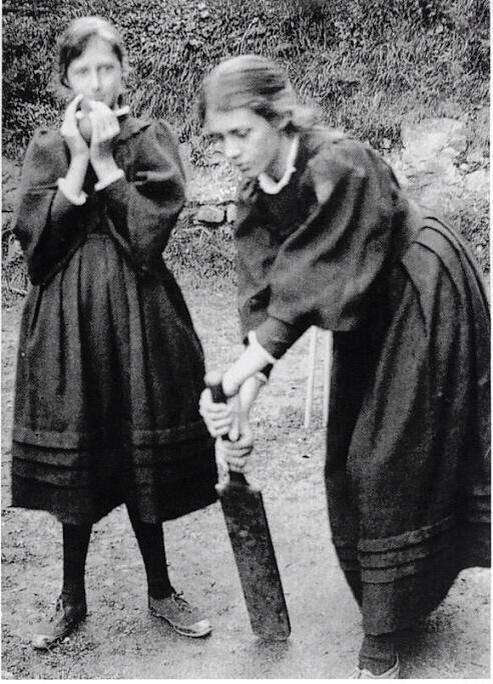 That’s Virginia and her sister Vanessa playing cricket, proving that she had a lighter side. On March 28, 1941, Woolf filled the pockets of her overcoat with stones and walked into the River Ouse, near her house, to drown. 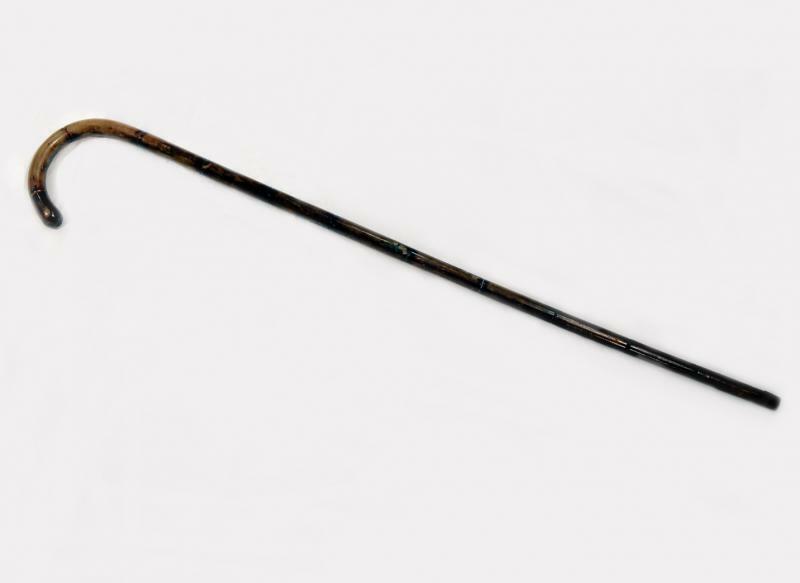 An object that moved me beyond words was the simple wooden walking stick she took with her into the river, found floating near where she went in, preserved in the collection of The New York Public Library and shown in an exhibit of the library’s treasures a few years back. 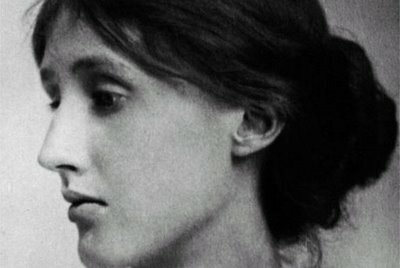 There is one surviving recording of Virginia Woolf’s voice. She delivered a talk called “Craftsmanship,” part of a 1937 BBC radio broadcast. Here is Woolf’s take on Judith, Shakespeare’s erstwhile sister, also from A Room of One’s Own. Tell me if after reading this you are not also pumping your fist in the air. Artists loved to portray Virginia Woolf’s mother, who she quite resembled. Fist pumping, and heels kicking up here, as well. Also, I found the look of Virginia and her sister to be so … classic. Their faces remind me of Greek statues. No makeup or surgical alteration needed or wanted. They were beautiful, and their eyes speak volumes. I knew you would, Ann. I’m pumping my fist in the air.